Taxon: Pseudotaxiphyllum distichaceum (Mitt.) Z. Iwats. 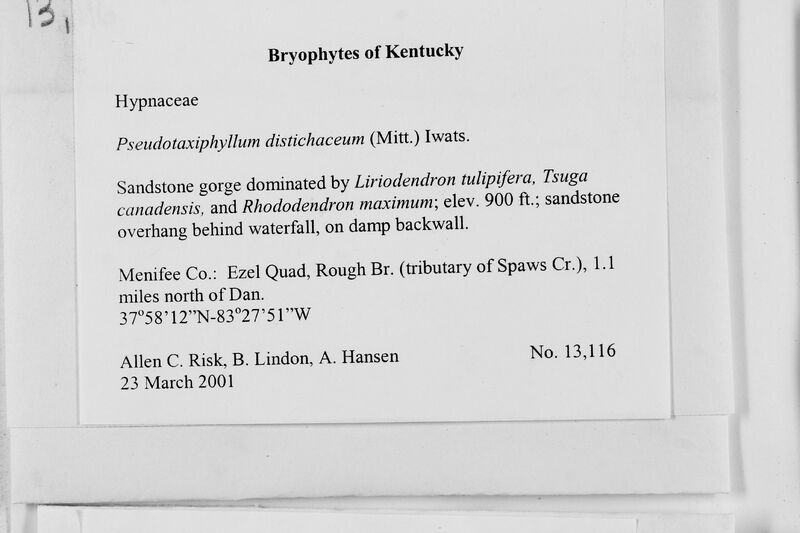 Locality: United States, Kentucky, Menifee, Rough Br. (tributary of Spaws Cr. ), 1.1 miles north of Dan.